Last night I fell asleep holding my laptop trying to upload this blog post. I woke up, opened the site, tried again, and fell back asleep. Whoops. 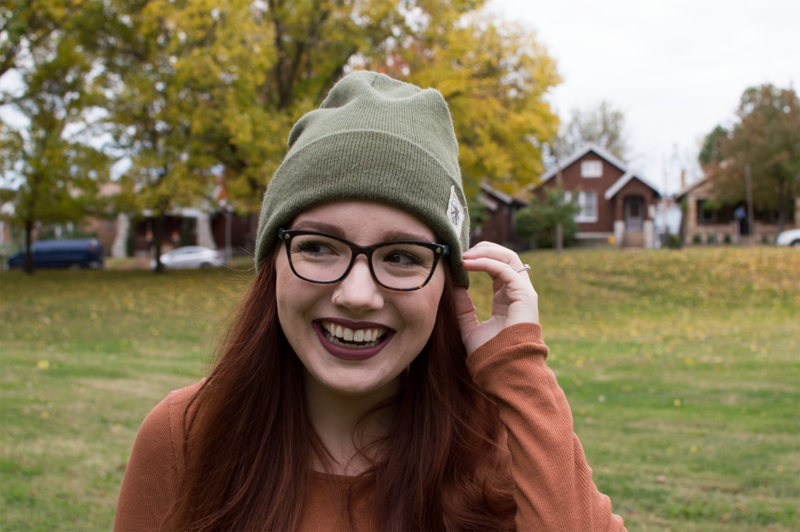 Why haven’t I been on the blog? Because the blog doesn’t pay for my mortgage! But for real, while I mean to blog daily every once in a while life gets in the way. For example, an intense (but fun!) project for my day job had me working all weekend, followed by an all-nighter on Monday and full 7-AM-to-10-PM day on Tuesday. Whew! You can imagine how I fell asleep holding my laptop. I had to leave my house during this sleepy period, so I reached for some comfy additions: a stretchy corduroy skirt, a thermal shirt, a bold lip to draw the attention away from irritated and tired skin. Oh, and a beanie because, as I told my husband, “I honestly can’t guess when I last washed my hair.” We’re getting real here, guys, it has been a hard couple of days. But I survived! 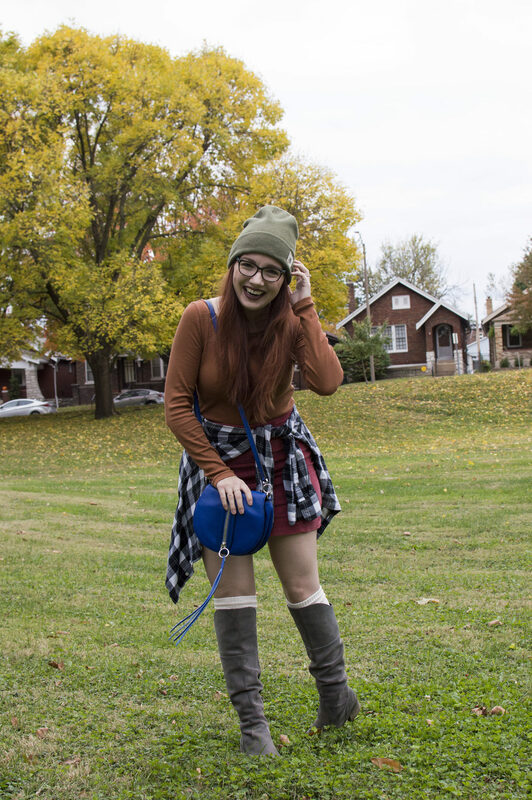 On a happy note, sometime while I was hunkered down in my office it started to feel like fall, so you can expect to see more autumn outfits on the site soon! Oh, and since I screwed up my sleep schedule I found myself wide awake in the middle of the night so I changed the site up a bit. Let me know what you think!